Employee Benefit Training - BCL Systems, Inc.
At BCL Systems, Inc. we have always believed that “Knowledge is Power”. In today’s environment, keeping up with the complex and constantly changing new rules affecting employee benefit administration can be challenging. 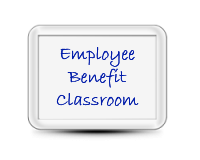 Employee benefit training done in a classroom style ensures benefit professionals have not only an understanding of the topic, but also are able to apply the knowledge. Our Employee Benefit Training Sessions focus on providing the most up-to-date information in a classroom structure. Participants are encouraged to interact and ask questions periodically during the presentations instead of having to wait until the end. The courses are designed to provide the employee benefit professional with realistic ways in which to apply the knowledge to every day tasks. If a participant thinks of a question on the presented topic afterwards, no problem. Course participants are provided with 30 days of email access to the presenter for no additional charge. A recorded version of the presentation will also be made available for 30 days afterwards. We take a full classroom approach to training. This means we limit the size of the sessions to ensure that everyone has an opportunity to participate. When the session has ended, we want the benefit professional to walk away satisfied that they have not only learned the topic, but are able to apply what they have learned. Courses are offered more than once, including some during the evening and on the weekend. So if participants are too busy or want to avoid distractions while attending a training session during work hours, they have another option. Don’t see a topic on what you want to learn? Contact Robin Benton at robinb@bclsys.com and she will be happy to discuss when one can be made available. Customized presentations are available as well. If you want to receive notices of up-coming topics, then be sure to subscribe today!